A failure to plan is a plan for failure. 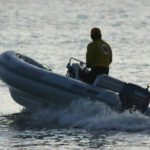 Lifeguard Services has seen rescue failure both on and off the water. 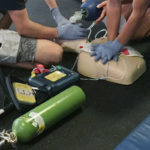 Mission training is extremely important, but confusion often generated by a serious emergency situation can undermine the best training and intentions. What do you do when the worst happens? Developing a good emergency action plan (EAP) with all stakeholders is the first course of action. 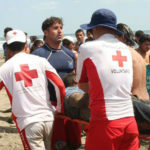 Lifeguard Services provides emergency response consulting during the development process. There are situations that are common, such as a heart attack or fire, as well as uncommon, such as a tornado, that need to be addressed. 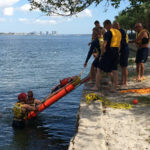 Developing good emergency procedures for likely scenarios and understanding how external rescue personnel will respond to those scenarios are critical factors to consider. Every office emergency action plan or workplace emergency action plan is unique to its location and business purpose. 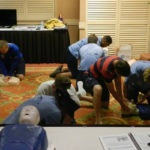 Lifeguard Services will incorporate an emergency response checklist into your planning that takes into account both the internal and external factors of a potential emergency. A good workplace emergency plan will work well even if the corporate leadership is away at a tradeshow or out on vacation. Good office emergency procedures will also account for any customers on the premises. 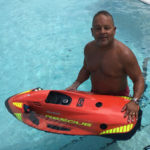 Lifeguard Services understands the need for workplace EAP. An EAP is a critical document for recreation swimmers at swimming pools and beaches where a drowning or heart attack is very possible. The EAP is reviewed and strengthened after every incident. Your workplace might not have emergencies very often, but a good EAP should be in every office. Be prepared! Lifeguard Services provides emergency action plan consulting. 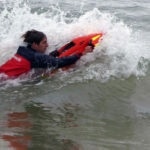 Lifeguards and other rescue personnel rely on the EAP for rescues and service. Businesses that have already suffered at their lack of preparation. Don’t learn the hard way. Please call us during normal working hours at 561-641-2855 or use our Inquiry Form anytime.